Apple has released new models of the iPhone and iPod Touch which have double the memory storage space – iPhone 16GB and iPod touch 32GB, seems perfect for folks who like to carry large amount of musics, photos and videos along with them wherever they go. According to the company, both latest iPhone and iPod touch feature Apple’s revolutionary Multi-Touch user interface and pioneering software, allowing users to find and enjoy all their music, videos, photos and more entertainment with just a touch of their finger. 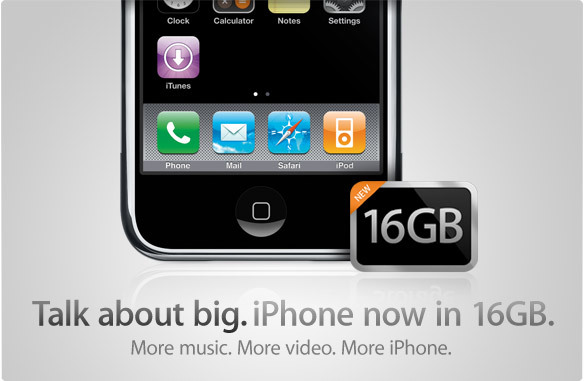 The new 16GB iPhone and 32GB iPod Touch are available immediately for a same suggested retail price of $499.